01 Feb 2019 --- Many vegetarians and omnivores are open to including insects in their diet, researchers from the University of Eastern Finland have revealed. The study, which was conducted online and included 567 participants, concluded that for vegans, however, this was not the case. Insect proteins have come into the spotlight over the past years as being a good source of healthy protein and several other nutrients, as well as more environmentally friendly in their production than many other animal-derived proteins. The shift from mainstream food to feed will remain a challenge, however, as the western “yuck” factor widely associated with insects will need to be overcome. The consumption of insect-based foods is more frequently encouraged as a response to the environmental impact of meat production. 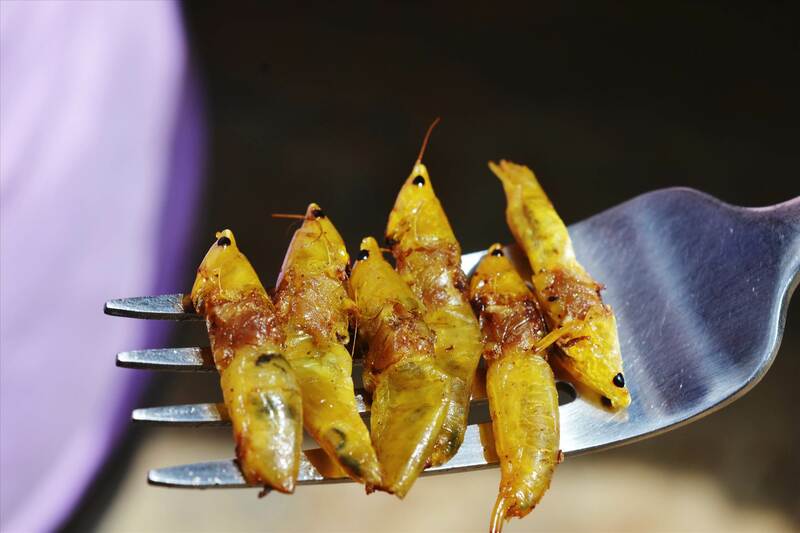 Foods made from insects have a relatively low ecological footprint, and due to their high nutrition content, they can be a sustainable supplement to our existing sources of protein. R Click to EnlargeMany non-vegan vegetarians and omnivores are open to including insects in their diet. For vegans, however, that is not an option. Photo credit: Vilma Lehtovaara.esearchers examined consumers' intentions to consume foods of insect origin among vegans, non-vegan vegetarians and omnivores. They considered the attitude, subjective norm, perceived behavioral control and food neophobia toward the consumption of foods of insect origin, as well as the conditions for eating insect-based foods among these dietary groups. Out of the respondents who took part in the study, 73 percent were omnivores, 22 percent were vegetarians and 5 percent were vegans. Vegans maintained the most rigid negative attitudes toward consuming foods of insect origin and their subjective norm to eat insects was weaker compared to that of omnivores and vegetarians. Vegans’ perceived behavioral control over their eating of insects was stronger compared to that of omnivores and vegetarians. Furthermore, vegans were significantly more determined than others that they would not eat foods of insect origin, even if they were nutritious, safe, affordable and convenient. Vegans’ “weak” intention, “negative” attitude, and low willingness to eat insects in the future exhibit their different dietarian identity compared to that of omnivores and vegetarians. “We expected there to be differences between these three groups, and we expected vegans to have the most negative attitude towards eating insects. Vegans see insects as living beings, just like any other animals. It was also highlighted in the vegans’ survey responses that eating insects in the west doesn’t solve the world’s shortage of food, especially when edible food goes to waste all the time,” Professor Anna-Liisa Elorinne from the University of Eastern Finland explains. However, the researchers also noted that findings can’t be generalized to all people representing the studied dietary categories. Furthermore, the respondents were mostly women, highly educated and city dwellers, a demographic profile known to impact food choice, say researchers. 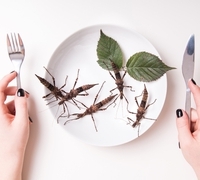 Last month, FoodIngredientsFirst published an article highlighting that farming insects could be key to sustainable food production, but upscaling issues linger, according to Swedish scientists. The opinion article, published in the journal Trends in Ecology & Evolution, explored unanswered questions around insect rearing and environmental impacts, but overall they remain optimistic that suppliers will rise to the challenge.